Media Borough offices are located at 301 North Jackson Street, Media, PA 19063; phone: 610-566-5210. Photo: Dr. Samuel D. Risley House, ca. 1877, 430 North Monroe Street, Media, PA. Listed on the National Register of Historic Places in 1990. Photographed by User:Smallbones (own work), 2009, [cc-by-1.0 (creativecommons.org/publicdomain/zero/1.0/deed.en)], via Wikimedia Commons, accessed June, 2015. Media Borough, a municipality of approximately three-quarters of a square mile, is located at the center of Delaware County and has served as the County seat since the time of its establishment in 1850. The Borough shares borders with Upper Providence and Nether Providence Townships, though it is located within three miles of several other municipalities, including Middletown, Marple and Springfield Townships, and Rose Valley and Swarthmore Boroughs. The Borough is approximately 20 miles from Center City Philadelphia and Wilmington, Delaware by motor vehicle. Media is connected to its neighboring municipalities, Delaware County, the Philadelphia region and beyond through an extensive transportation network. Interstates 95 and 476 ("The Blue Route"), as well as U.S. Route 1 and Baltimore Pike serve residents and visitors for local and regional trips. Additionally, the Borough has some of the best access to public transit in the region, with proximity to SEPTA Regional Rail, bus lines, and the 101 trolley that bisects State Street en route to the 69th Street Transportation Center. 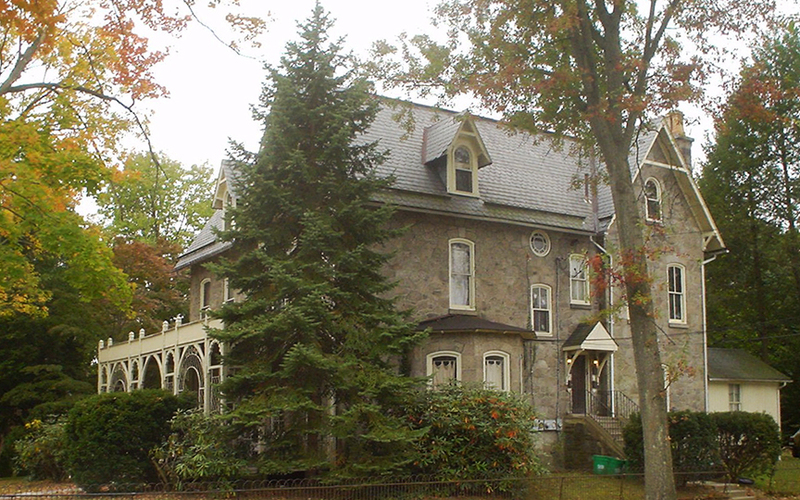 The Borough is defined by the distinct character of its residential and business districts. Walkable neighborhoods, a variety of shopping and dining options and an employment base in the public, private and nonprofit sectors make Media virtually a self-sufficient community, and it is this bustling, small-town atmosphere that attracts visitors from across the region to the business district. The economy of the Borough is buoyed by a wide range of government, professional and service sector jobs, with an employment count that may be twice as large as the number of Borough residents. The role of Media as the county seat in Delaware County helps the Borough maintain a significant daytime population of workers and visitors, though it is the multitude of retail shops, services and dining establishments located along Baltimore Avenue and State Street in the central business district. This mix of businesses separates Media's economy from other neighboring municipalities. Community events such as "Dining Under the Stars" a weekly restaurant event, attract area residents to the downtown of Media on summer nights and weekends. Additionally, other events, theater and diverse culture encourages the involvement and engagement of the greater Media community. Numerous Borough-sponsored and nonprofit organizations and committees coordinate Borough events and initiatives, including the promotion of the arts, Fair Trade practices (Media is the first "Fair Trade" town in the U.S.) and energy conservation. Media's inclusive appeal as "Everybody's Hometown," and its high level of civic engagement attracts residents from neighboring communities to become involved in local organizations and events.